Each year Surf Life Saving Australia hosts a National Awards of Excellence to recognise the hard work, selflessness and enthusiasm of its volunteers. This year's awards, held Saturday October 27th, brought two awards of significance for local surf life saving clubs. Central to Avalon SLSC club ethos is their policy of ‘One Club’. As a group they strive for excellence through leadership by example. The club adopted a strategic plan in 2017 which provided a detailed set of goals, strategies and performance indicators that set an ambitious set of targets across nine strategic priorities, from lifesaving, club development and sustainability, through to Nippers, and surf sports. Avalon SLSC prides itself on being rescue ready with a large member base also on the emergency call-out team. The opening of a new clubhouse has engaged the local community with such events as Christmas Carols at the Beach and the Lion Island Challenge. Avalon SLSC is a pillar of the local community. Roger Sayers, ABSLSC Life Member and Publicity Officer for the club said late last night "A team of representatives from all aspects of the club were thrilled when the final award of the night was made. A very prestigious award that acknowledges the club's outstanding commitment to surf lifesaving and the community." Avalon Beach SLSC were also named Club of the Year at the 2017-2018 Surf Life Saving NSW Awards of Excellence. On Saturday, 23rd December 2017, two young swimmers were swept off the sandbank between the flags at Whale Beach. It was quickly apparent the swimmers were inexperienced as they were struggling to stay afloat. Iain Bownes signalled from the water’s edge for assistance from the patrol. Iain Bownes, Lachlan Williams, Oliver Bownes, Angus Bownes and Jack Bregenhoj all entered the water on boards and with rescue tubes to aid the drowning swimmers. While one patient had managed to regain his footing on the sandbank, the other patient could not be seen. The IRB was launched to assist. While searching for the patient, Angus noticed bubbles coming from below the surface and a faint silhouette. He dove down three meters to retrieve the unconscious patient from the ocean floor. The rescuers got the patient onto a rescue board and paddled him back to shore. Upon seeing the patient, patrol captain, Suzy Bownes immediately called emergency services before the team commenced CPR. After four rounds of CPR the patient started breathing. The second patient who had made it back to shore was monitored for shock. Strong teamwork and a swift response prevented a more serious outcome. Whale Beach SLSC were awarded the SLSNSW Rescue of the Month for their response to this rescue. Whale Beach SLSC also won Rescue of the Year at the Surf Life Saving Sydney Northern Beaches Awards of Excellence 2018. Kendrick made history this season for Manly LSC winning gold in the Open Ironman and ski relay at the 2018 Aussies. Kendrick has been selected for the Australian Surf Lifesaving Team, competing in New Zealand at the Surf Rescue Challenge. Kendrick’s results span across Taplin, surf race, board race and ironman achieving podium results at both state and national level. Kendrick has been noted as not only a fantastic competitor but a strong club leader and mentor, often making himself available to masters and nipper competitors. Award collected on the night by Louis Tassone. Jemma Smith, Umina SLSC, was awarded Youth Athlete of the Year. Matthew Slattery, North Avoca SLSC, was named the DHL Lifesaver of the Year and Nicholas Canales, Penguin SLSC (Tasmania) the Youth Lifesaver of the Year. In 2017, Terrigal SLSC undertook the task of recognising the female surf lifesavers who patrolled the Central Coast beaches during World War 2. Between 1942 and 1945, seventy-two of the seventy-six male members in the club were enlisted in the armed forces. Despite the fact that SLSA policy did not recognise female surf lifesavers, a group of trained women took it upon themselves to patrol the beaches, ensuring no lives were lost during this period. These women never received their Bronze Medallion qualification. The First Female Lifesavers event sought to honour and acknowledge these women, some now in their 90’s, by awarding them or their families with Bronze Medallions. The event allowed the club to springboard into the ‘Inheritors Program’ for youth retention and engagement. Popular SLSA President Graham Ford AM, who was reelected for a 5th two-year term as the SLSA President Elected Director at the Friday October 26th SLSA AGM, was on hand as one of these First Female Lifesavers received a standing ovation at this year's SLSA Awards of Excellence. New SLSA Life Members are John Restuccia, SLS NSW Director of Lifesaving for the past 12 years and active member of Maroubra SLSC, Lyn Barratt of Tasmania, huge contributor to lifesaving in her state and the second female to be appointed to the SLSA board, Heather Thompson, one of Surf Life Saving’s most well-regarded sports coaches and officials who began through doing her Resuscitation Certificate at Grange SLSC in 1975, Marcia Fife, active member of Broadbeach SLSC who has taken ion roles at Club, Branch and State level and whose work in first aid education has seen her representing Queensland on the National Resource panel for four years, and Daniel Hoyland OAM, one of the most dedicated and committed Westpac Livesaver Rescue Helicopter Service officials. Danny’s service to Surf Life Saving spans over 25 years, volunteering at branch, state and national levels. Mr. Hoyland has made a significant contribution to the Westpac Livesaver Rescue Helicopter Service and was instrumental in its implementation, developing many aspects of the high-risk rescue technology that is utilised today. The full list of awardees and citations may be read on the Surf Life Saving Australia webpage here. Photos and more area available on the SLSA Facebook page. It’s been a successful few years across a broad range of areas for Avalon Beach Surf Life Saving Club, and after arguably their biggest season yet they have one more reason to celebrate after they were named Australia’s top surf club at the National Awards of Excellence last weekend. The cheers could be heard across the Harbour Bridge when the Northern Beaches club was announced as the 2018 DHL Club of the Year. “This means so much to us,” said outgoing president Richard Cole. “Our great achievement this year was working together as one club. As a movement, we’re doing incredible things as lifesavers and we really can be the heart and soul of our community. “Across the board we raised our patrol attendance, patrol hours, the number of Bronze Medallions and SRC certificates we trained as well as doing well financially which allowed us to purchase new lifesaving equipment,” he said. Some of their highlights from the 2017/18 season include the greatest number of active members, youth members, and new Bronze Medallion holders in club history as well as a near record-breaking year in revenue. This summer will be fondly remembered for their success on the surf sports scene with two Aussie Gold Medals as well as the largest ever Nippers team to take part in the State Championships at Blacksmiths Beach. A key part of their success has been a determination to embrace the one club, one movement ideal and ease the transition between the youth and senior club. Not content to rest on their laurels, the club is keen to continue to build over the coming seasons. “The foundations are extremely solid and as a management team that is what we want to build on,” said new president Ashley Cardiff. “Our members do a huge amount of work in the community in addition to the lifesaving duties we do on the beach. “We’re very good at our beach role and now the challenge is for us to continue to work with our junior members and improve the educational aspect of the club. “We want to do better,” he concluded. 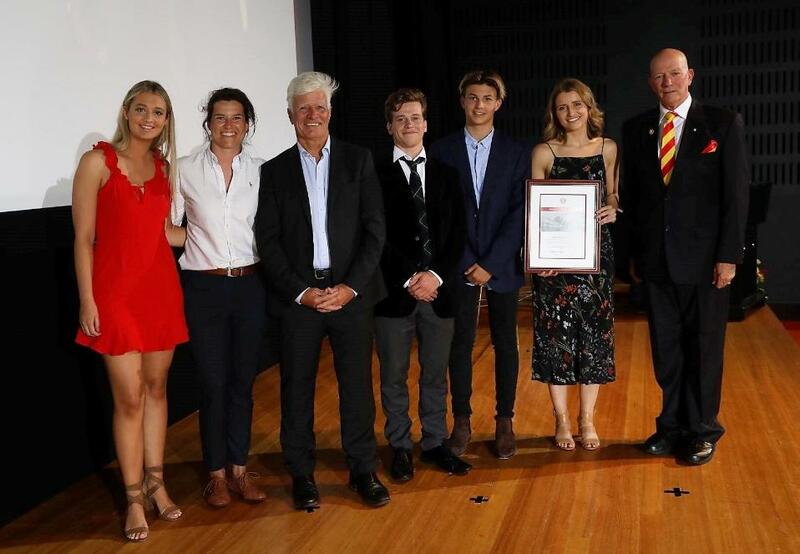 Achievements across innovation, surf sports, education, training and assessing, life contributions and exceptional bravery in rescue were celebrated in the company of 270 surf lifesavers and dignitaries. As the largest state body in the country with 129 clubs, NSW is proud to nominate it’s top members and groups for the prestigious awards. 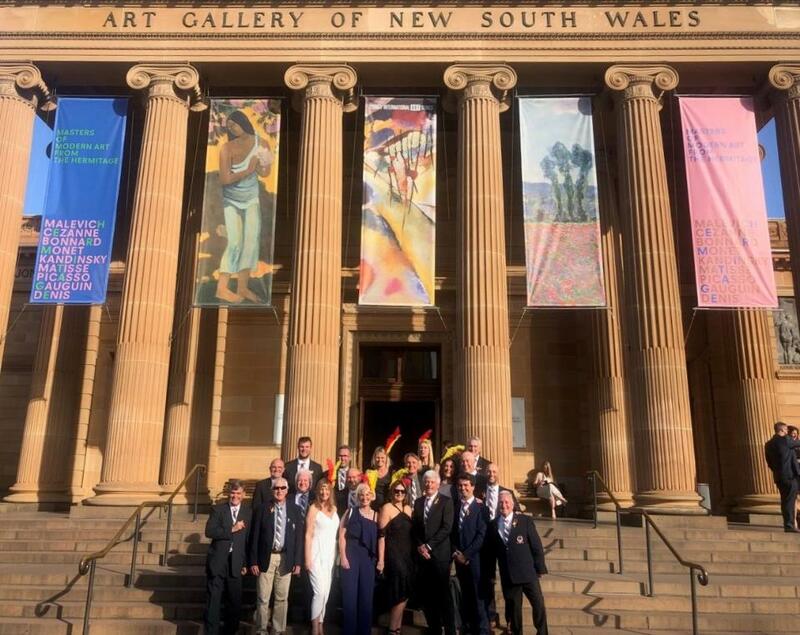 This year NSW cleaned up, bringing home eight of the 13 awards and three meritorious awards of recognition. SLSA’s President Graham Ford AM spoke this evening about the important contribution Australia’s surf lifesavers make to the community. “The National Awards of Excellence is an opportunity for Surf Life Saving Australia to recognise the amazing achievements of our members,” Mr Ford said. SLSNSW CEO Steven Pearce was proud of every member nominated for an award and recognised the winners greatness within their clubs and communities. “This event showcases the best of the best in Australia each year,” he said. “What it drove home tonight was that we are all from the same tribe. We are just red and yellow through and through. “Tonight NSW cleaned up and we stand at the top of the tree with the best lifeguards, lifesavers, education, clubs, training programs and athletes.